This intensive serum increases dermal water reservoirs and protect the skin from free radical damage. Moisturising blend of Northern peony, linseed and hyaluronic acid absorbs quickly for long-lasting results. Apply to clean skin. Apply a moisturising cream afterwards. Aqua, Helianthus Annuus (Sunflower) Seed Oil, Simmondsia Chinensis (Jojoba) Seed Oil*, Glycerin***, Rosa Damascena (Rose) Flower Water*, Sodium PCA, Hippophae Rhamnoides (Sea-buckthorn) Fruit Extract*, Cetearyl Glucoside, Cetearyl Alcohol, Stearic Acid, Palmitic Acid, Aroma, Benzyl Alcohol, Xanthan Gum, Urtica Dioica (Nettle) Leaf Extract*, Linum Usitatissimum (Flax) Seed Extract*, Paeonia Lactiflora (Peonia Root Extract, Sodium Hyaluronate, Sodium Benzoate, Tocopherol (Vitamin E), Ascorbyl Palmitate (Vitamin C), CI77019 (Mica)****, Potassium Sorbate, CI77891 (Titanium Dioxide)****, Hydrolyzed Hyaluronic Acid, Sodium Phytate, Lacitc Acid, CI77491 (Iron Oxide)****, CI77491 (Iron Oxide)****, Citronellol**, Geraniol**, Benzyl Salicylate**, Eugenol**. 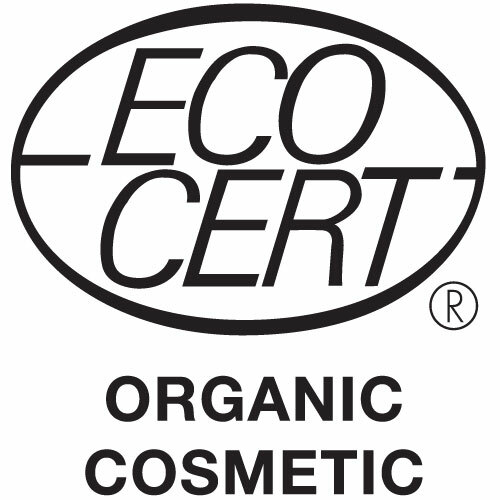 *Ingredients from Organic Farming, **Natural essential oils, ***Made using organic ingredients, ****Pure mineral pigments. Apply to clean skin. Apply a moisturising cream afterwards. 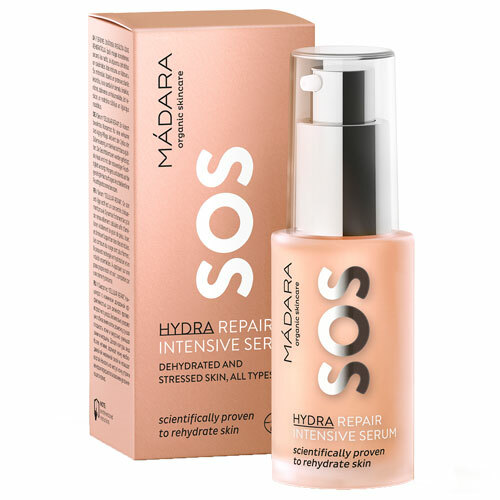 Below are reviews of MADARA SOS Hydra Repair Intensive Serum - 30ml - Best before date is 30th June 2019 by bodykind customers. If you have tried this product we'd love to hear what you think so please leave a review.